Tim’s primary ministries include preaching, pastoral care, administration and occasional teaching. 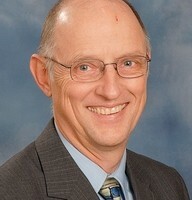 He staffs the Peace & Justice and Fellowship Committees, and attends Church Board and Pastoral Council. Tim has a Master’s of Divinity degree from Associated Mennonite Biblical Seminary (1985). He came to MCN in August of 1996, from his first pastorate at First Mennonite Church in Beatrice, Nebraska. Tim is married to Sue, and they have three adult children, two daughters-in-law, a son-in-law, and two grandsons. Tim and Sue spent several years in Brazil with Mennonite Central Committee, and a summer in Kentucky as coordinators of the SWAP (Serving with Appalachian People) program during a sabbatical. In his spare time, Tim enjoys fishing, cycling, woodworking, and reading. 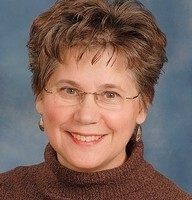 Jane is the Associate Pastor of Lay Ministries and Worship. She commutes from the family farm, and serves MCN halftime. Jane staffs Worship, Outreach and Leadership Selection Committees, and attends Church Board and Pastoral Council meetings. She is also available for pastoral care and spiritual direction, as needed. Pastor Jane came to MCN in 2000. She completed a Master’s degree in Christian Formation at Associated Mennonite Biblical Seminary in 2007. She is married to Mark, and they have three children. Mark and Jane spent three years in Jamaica with Mennonite Central Committee; Jane was a high school teacher for several years prior to being home with young children. Jane enjoys movies, learning to flower garden, walks, tea dates and silent retreats.